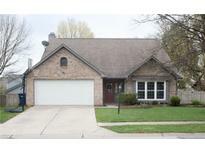 Find Fishers, IN Homes for sale. View Photos, Maps and MLS Data Now! Brooks Landing - Of course the house is close to everything, including Geist Reservoir. 2 Minutes Away! MLS#21633545. eXpert, REALTORS®. New:Roof '16, HVAC '17. Nhood pool/park/plygrnd! MLS#21633346. F.C. Tucker Company. Truly a find in popular Fishers! MLS#21632560. Carpenter, REALTORS®. Canyon Ridge - From upgraded memory foam carpet pad, to subway tile backsplash in kitchen, to granite counters with vessel sinks in all baths, whole home attic fan, high efficiency geothermal water heater, whole house humidifier, porcelain tile in entry/living room/kitchen, Custom pantry with cabinets, countertops and backsplash, enlarged patio with fire pit, custom closets in BOTH master bedroom closets, whole house aprilaire filter, wired from home audio and so much more. MLS#21631670. Keller Williams Indy Metro NE. Harrison Green - All appliances included. Move right in! MLS#21633474. F.C. Tucker Company. Convenient Location to Retail, Schools, Parks and 465. Hamilton Southeastern Schools too! MLS#21633274. F.C. Tucker Company. Don't miss out on this one! ! MLS#21633321. Keller Williams Indpls Metro N.
In the garage the upper shelving and work bench will stay with the home and inside all window treatments and hardware remain! MLS#21633444. Keller Williams Indy Metro NE. Belmont Place - Come see & you will fall in love! MLS#21633101. Drees Homes. 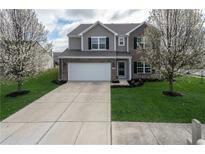 Avalon Of Fishers - Plus community pool, tennis, playground, basketball, & more. MLS#21632149. CENTURY 21 Scheetz. Pictures may be of similar home. MLS#21633287. CENTURY 21 Scheetz. This is a GEM! Schedule Your Tour Today! MLS#21631927. RE/MAX Realty Services. Brooks Chase - Upstairs 3 large bedrooms, bonus/4th bedroom, game room, laundry. Master Suite garage Tub & walk in closet! MLS#21633285. CENTURY 21 Scheetz. 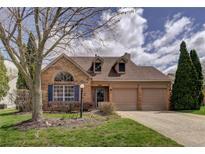 Summerfield - Close to dining/shopping & all that Fishers has to offer. Hamilton Southeastern Schools. Quick possession. MLS#21632187. RE/MAX Ability Plus. Roof is only 3 years old! Washer and dryer are included! MLS#21632616. F.C. Tucker Company. Woodberry - Master bathroom has double sink, jetted tub and large walk in closet. A Must See! MLS#21632857. Front Porch Real Estate, LLC. Auburn Springs - Amazing outdoor space w/paver patio,pergola,deck,hot tub & nice size lot with great landscaping awaits. Don't miss out! MLS#21632883. Front Porch Real Estate, LLC. This amazing 6.8 acre estate in Hamilton Proper is a must see, Private gated entrance takes you to the Grand 2 story entry with Ornate ceilings, hardwood floors, well designed office, Dining room, Master Suite, Great room, Kitchen with Butler pantry, center island open to hearth room, sun room, out door patio with built in kitchen, Estate stairs lead to the pool, hot tub and lower level patio, Upstairs has 3 bedrooms plus in law quarter, lower level great room, theater room, game room, exercise room, bar with wine cellar, bunk room for sleep over, and access to pool area, 6 car garage MLS#21632186. Berkshire Hathaway Home.